Hello there! It’s Maryanne from The Little Epicurean. All year I wait for this moment. 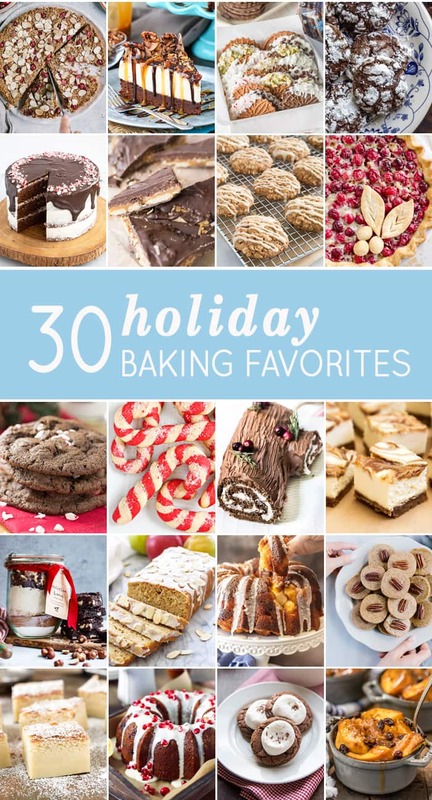 All year I wait for December to bake all my holiday favorites. 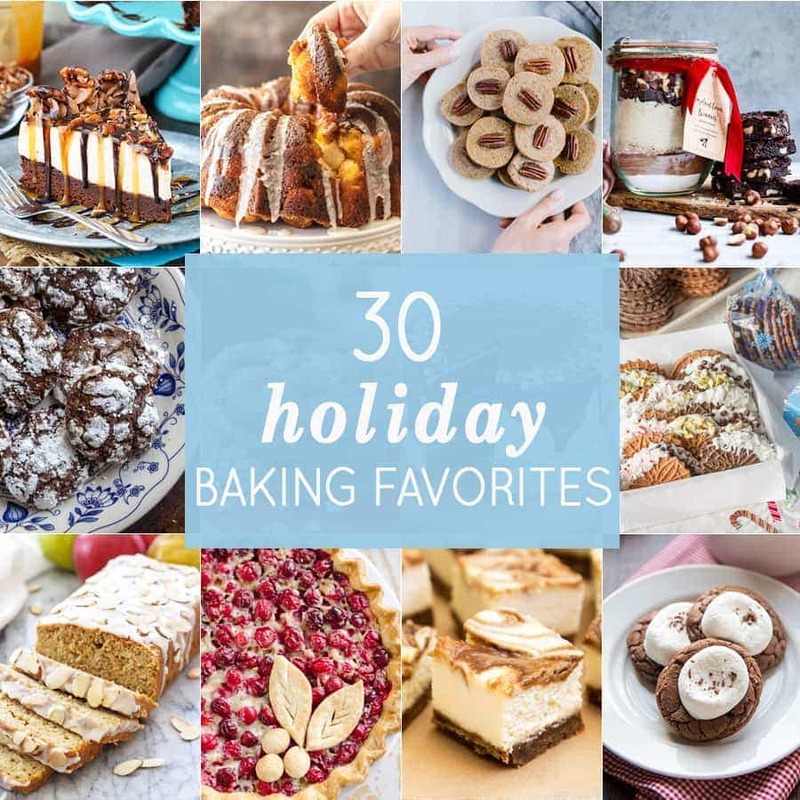 Today we’re featuring 30 delectable holiday baked goods for you to share with friends and family all season long. We’ve got cookies, cheesecakes, quick breads, and cakes galore. 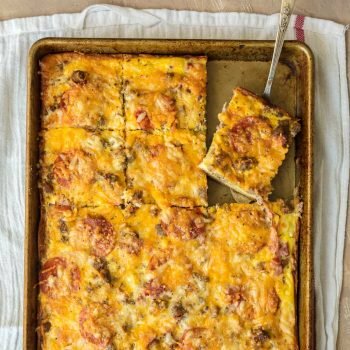 I hope you these recipes give you reason to forget that diet, turn on the oven, and celebrate the holidays! 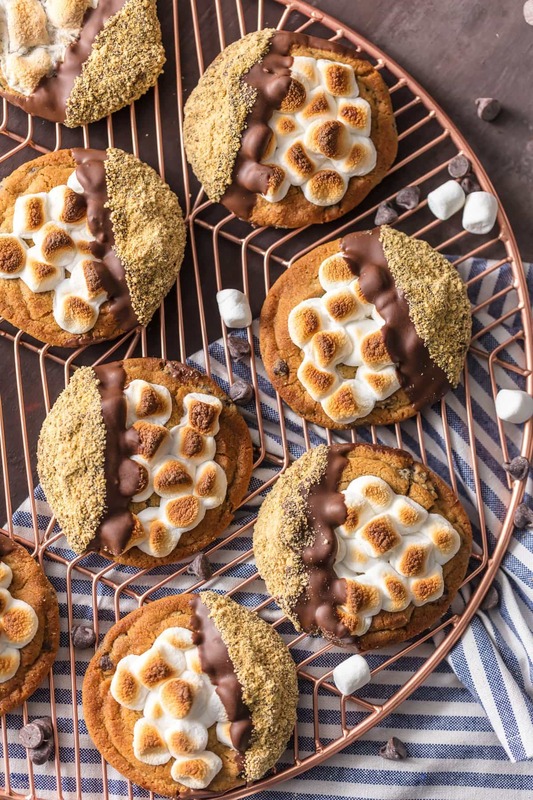 Easy S’more Cookies | The Cookie Rookie; These easy s’more cookies are simply divine. 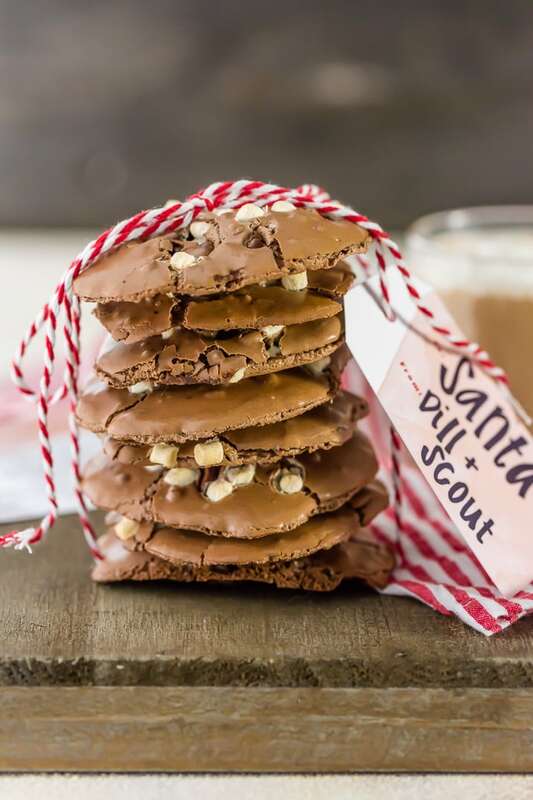 Made with pre-made dough and dipped in chocolate, they’ll be a favorite any time of year! 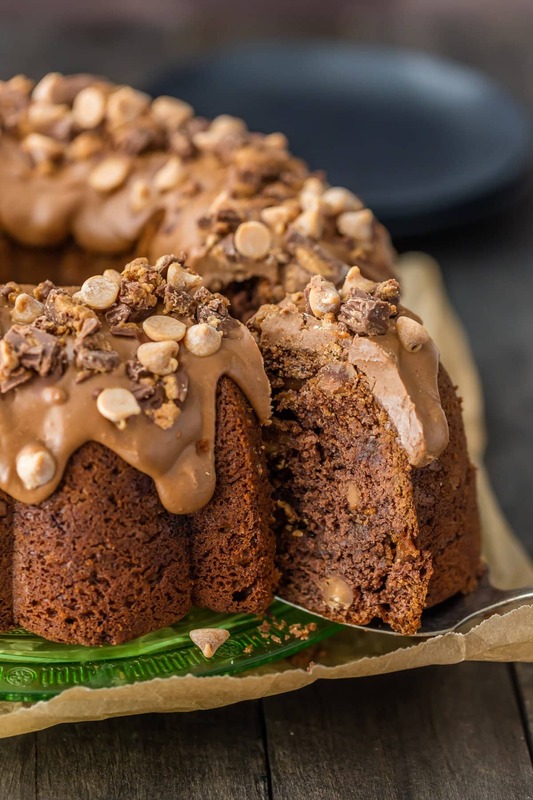 Chocolate Peanut Butter Cup Pound Cake | The Cookie Rookie; This recipe for chocolate peanut butter cup pound cake is the ultimate pound cake recipe! It’s indulgent and perfect for the holidays. 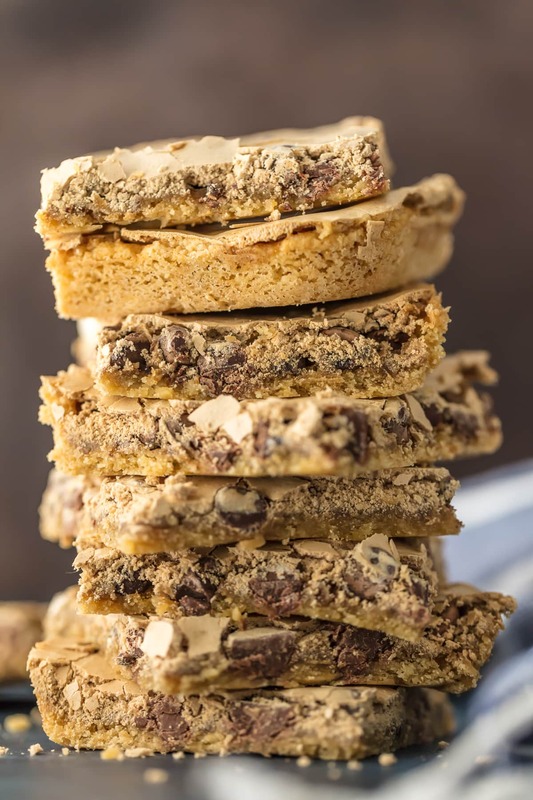 Halfway to Heaven Bars | The Cookie Rookie; These halfway to heaven bars are easy and so delicious! 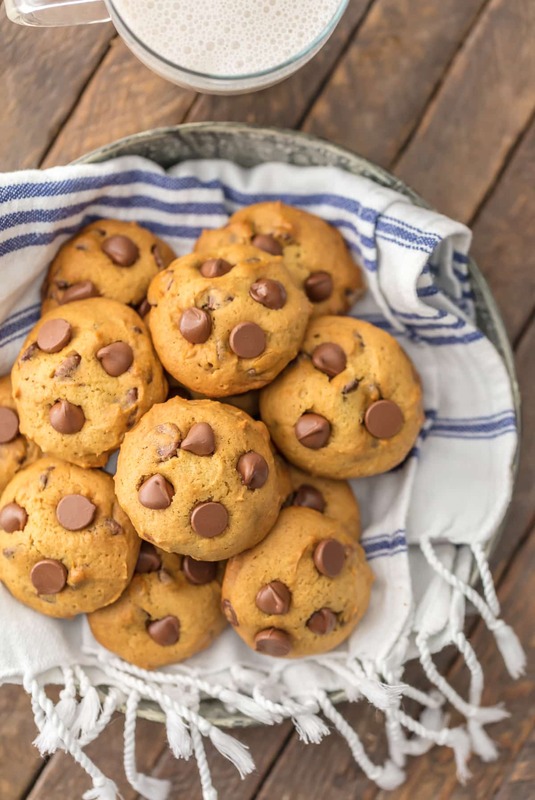 Applesauce Chocolate Chip Cookies | The Cookie Rookie; These lightened-up applesauce chocolate chip cookies are healthier way to enjoy holiday baking! 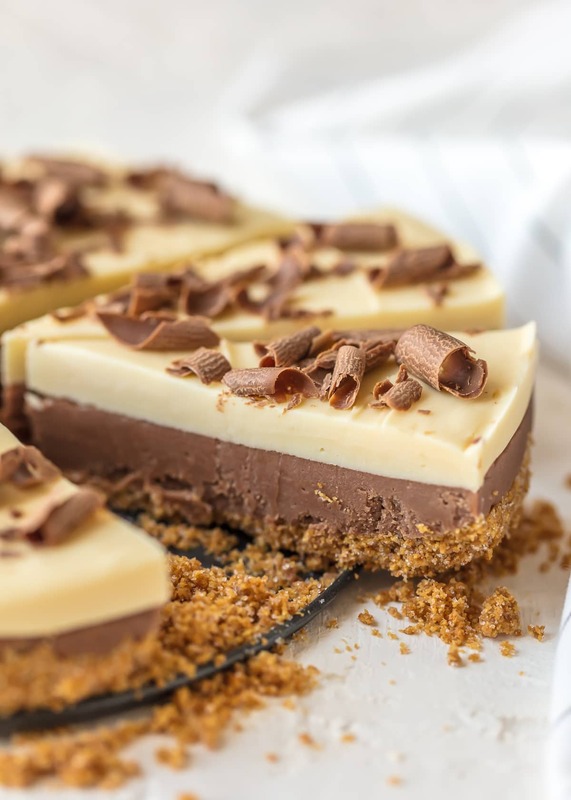 French Silk Pie Fudge | The Cookie Rookie; French silk pie fudge is an absolute must-make this holiday season! It’s an adorable twist on a holiday classic. 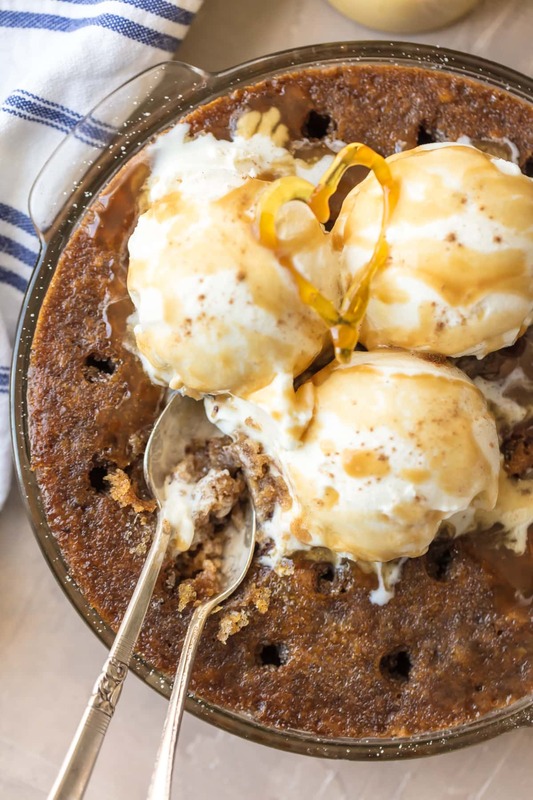 Sticky Toffee Pudding Poke Cake | The Cookie Rookie; Top this sticky toffee pudding poke cake with ice cream for an extra special treat! Pumpkin Pie Monkey Bread | The Cookie Rookie; Meet your Thanksgiving morning breakfast! 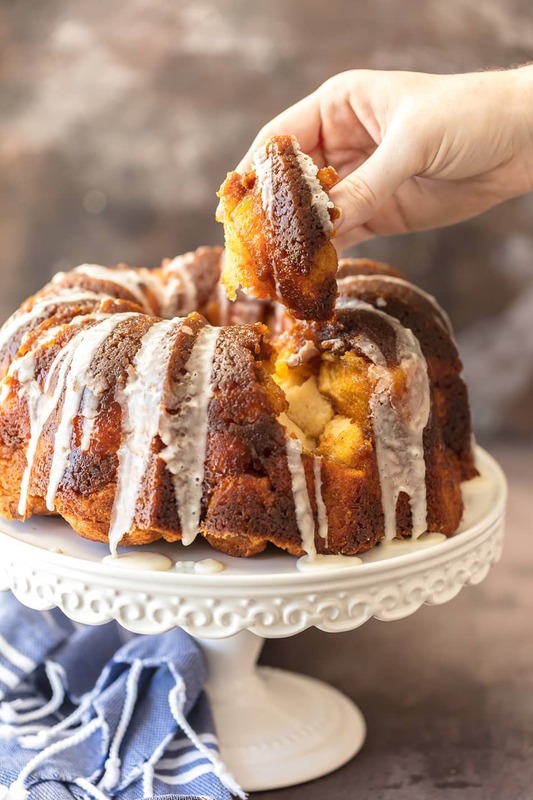 This pumpkin pie monkey bread tastes just like pumpkin pie and is pretty, too! Flourless Hot Chocolate Cookies | The Cookie Rookie; These fudgy cookies are some of my all-time favorites! 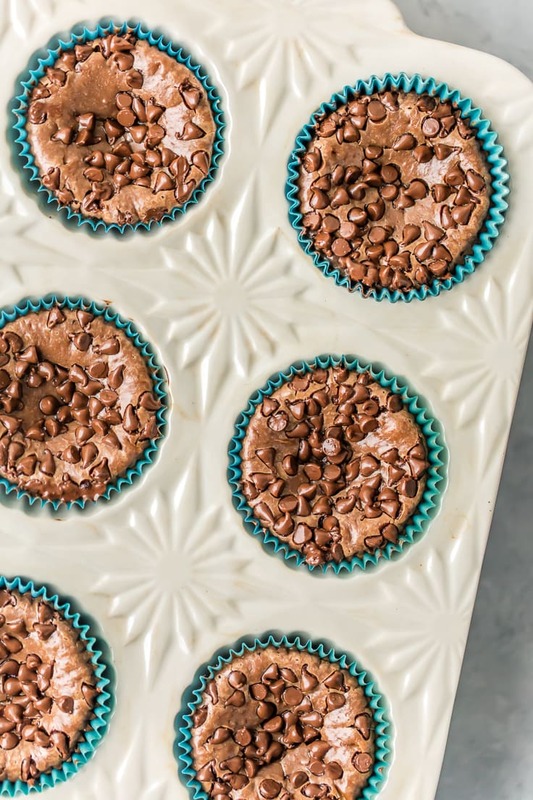 These flourless hot chocolate cookies warm up the coldest of days! 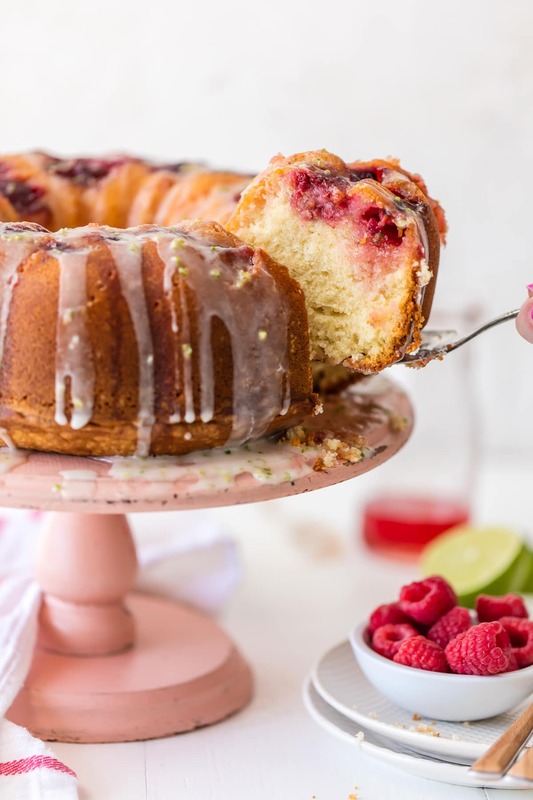 Raspberry Moscow Mule Cake | The Cookie Rookie; This raspberry Moscow mule cake is made with fresh raspberries, ginger beer, and fresh lime glaze! Mini Nutella Cheesecake Bites | The Cookie Rookie; These mini Nutella cheesecake bites are super easy and totally addicting! 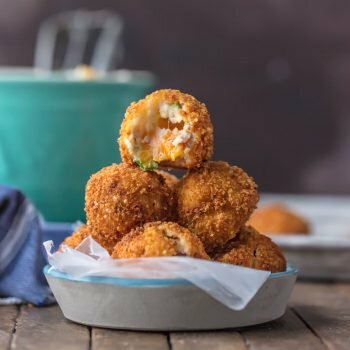 Perfect for any and every holiday celebration! the recipes would be better if they were printable rather than pin. Hi Betty, they are printable. If you click “print” within the recipe card itself, you’ll get a print friendly version. You can print or save to pdf. Enjoy! I had been loving all of your recipes. Si tu veux une carte Google Play gratuite, essaie notre generateur de code Google Play gratuit et obtient de l’argent illimité sur ton solde total! Get unlimited robux and tix by using our Roblox robux generator. Our Robux generator works with all Platforms. Earn points by completing simple offers, or sharing us with your friends. Earn enough points and you can get free PSN codes. Monster Legends Hack – Generate unlimited gems,golds and food using our Hack Tool for Monster Legends. 100 % efficiency, tested on all devices!